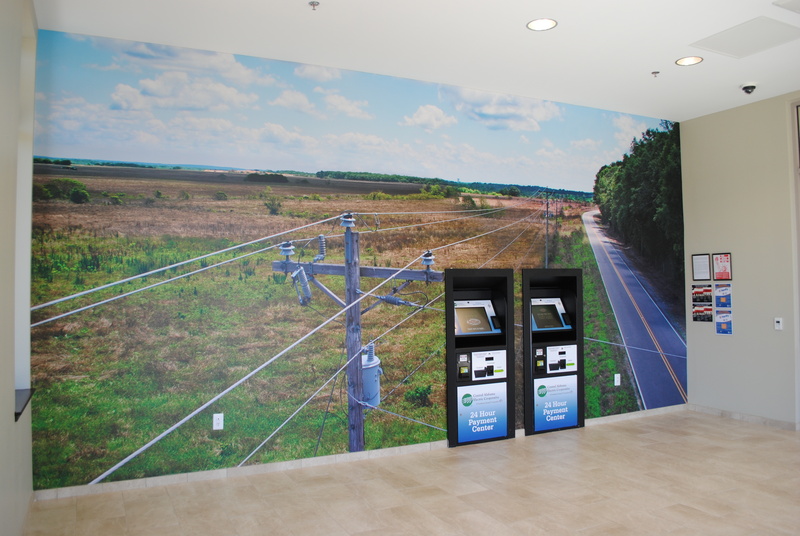 Here’s a wall mural we did recently for the CAEC Electrical Co-op in Alabama. When you walk into their lobby, you know what they do! They love how it makes a statement, and it gets a lot of compliments. You can have a wall mural made from just about any decent quality digital photo. We like to see 6 or 8 megapixel images, and of course they need to be sharp. More megapixels are always appreciated. This entry was posted in Custom Printed Wallpaper and tagged corporate wallpaper, lobby mural, lobby wallpaper, wall mural. Bookmark the permalink.